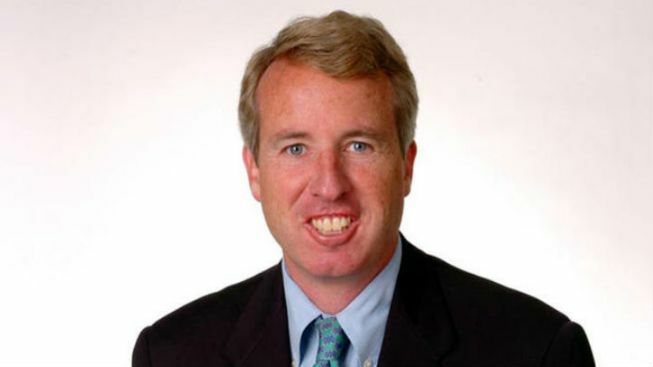 Businessman Chris Kennedy is reportedly gearing up for a potential 2018 gubernatorial bid, Politico reports. In addition, the Democrat is reportedly interviewing potential pollsters and consultants as he continues to prepare for a possible bid. According to the Politico source, Kennedy plans to make his announcement after the new year, alongside a group of labor leaders, ministers and businesspeople. He reportedly plans to partially self-fund the prospective campaign, perhaps evening the playing field with his potential opponent, Gov. Bruce Rauner, whose personal wealth and ties to rich donors have put Democrats at a financial disadvantage. Over the past year, Kennedy has become increasingly visible, meeting with labor and party leaders in Illinois. In July, He spoke at the Democratic National Convention, slamming Rauner in front of the Illinois delegation. During the convention, House Speaker Michael Madigan said Kennedy would be an “excellent candidate” for governor, citing his business experience and family history, the Chicago Tribune reported. Kennedy, the former chairman of the Merchandise Mart, now runs Top Box Foods, a nonprofit providing fresh food options in the inner city. At the time, Madigan, who serves as the chairman of the Democratic Party of Illinois, noted that he had met with Kennedy to talk about a potential gubernatorial bid. The businessman is among a growing list of Illinois Democrats being circulated as prospective candidates. That list includes billionaire J.B. Pritzker, Ald. Ameya Pawar, state Sen. Daniel Biss, former Gov. Pat Quinn, state Sen. Andy Manar, U.S. Rep Cheri Bustos and Chicago City Treasurer Kurt Summers, according to the report.